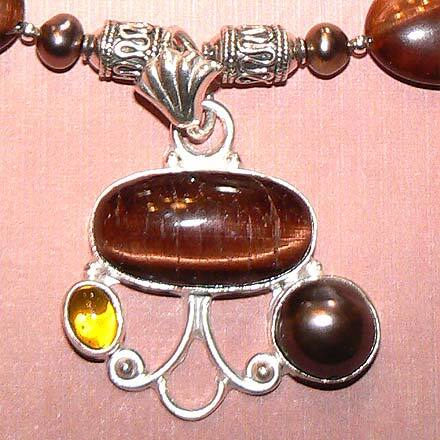 Sterling Silver Red Tiger Eye, Freshwater Pearl and Citrine Necklace. See Closeup. 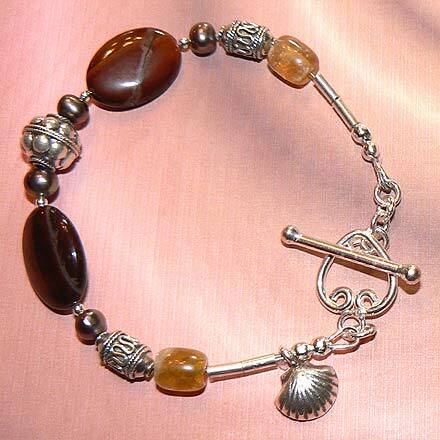 Sterling Silver Red Tiger Eye, Freshwater Pearl and Citrine Bracelet. 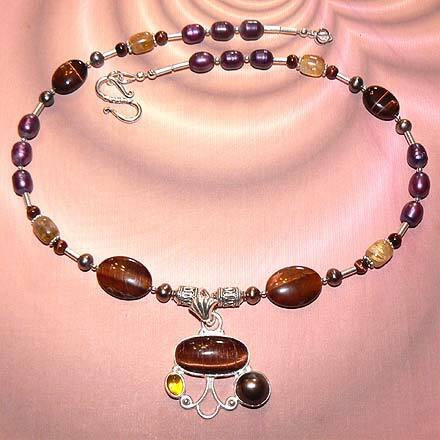 Such a pretty color trio...orangey/brownish Red Tiger Eye, Golden Citrine, and Freshwater Pearls the colors of purple berries. For those who are interested in Astrological significances of stones, Tiger Eye corresponds with Capricorn, Citrine is November's birthstone and Pearl corresponds with Cancer and the month of June.